Of the numerous clans of this great race, there are thirty-six which are termed Royal clans having directly descended from the ancient ruling princes of India. A list of these for the sake of convenience has been given in the appendix. Amongst these royal clans the Sengars occupy a high position. They are considered practically the equals of Kachhwahas and intermarry with them. The Sengars claim descent from on Singi or Sringi Rishi, a celebrated holy man, “who married the daughter of a Gaharwar Raja of Kannauj. From one of his sons came the Gautams of Argal in Fatehpur, and to another, Padam, the Sengar trace their origin. The traditions of the clan then interposes a period extending over some 135 generations, during which the clan emigrated first to Cevlon, thence to Malwa, and finally settled at Kanar in Jalaun, were was born about 1065 A.D. one Bisukh Deo, or Sukh Deo, the founder of the fortunes of the Sengar house.” He married Deo Kali, daughter of Jaichand, the last Rathaur Raja of Kanauj, and after his defeat by Shahabuddin Ghori in the year 1193 A.D. the power of the Sengar increased and the river Basindh was renamed Sengar in their honor. There are one or two other traditions as regard the origin of this clan, but the one given above is mostly taken to be the correct one, as is also corroborated by the descriptions about the origin of this clan in Cooke’s Tribes and Casts of N.W.P, Census Report N.W.P, Manual of Titles of U.P., and the U.P. Gazetteer for the Etawah district. Compare Todd’s Annals and Antiquities of Rajasthan, Vol. I.
 Kannar is now marked by a large deserted Khera about two miles from the Jumna, and not far from the present site of Jagamanpur in Jalaun. 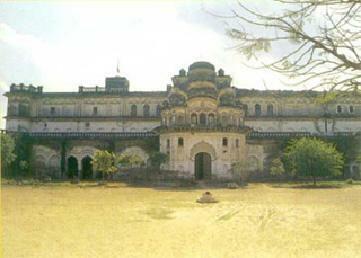 The Raja of Jagamanpur is the head of the Sengars and was once known as the Raja of Kanar-Khera. Kanar gave its name to a pargana in the time of Akbar. Cooke’s Tribes and Castes of N.W.P. Vol. IV Page, 312, 1896 Edition; also vide Census Report N.W.P. I App. 81, and Manual of Titles U.P., 1917, Edition. Page, 64. Vide Manual of Titles, Page, 64, 1917 Edition. Vide Gazetteer N.W.P. Vol. IV, Part, I (Agra Division) Page, 276, 1876 Edition.